Lack of Capacity: Voting and being a part of the democratic process requires the acquisition of certain reasoning and deliberating abilities beyond a child’s reach. Children (especially before adolescence) do not have the cognitive capacities needed to vote. They don’t know what they want, and they cannot understand what is in their best interests. Thus, they should not be allowed to make choices of which they do not understand the consequences. Lack of Experience: Even if children have cognitive capacities, this is not sufficient to make an informed choice when voting. Many children and teens may have the capacities needed to vote but they have not acquired the life experience, the social and political contact needed to make informed decisions. Children have not had enough contact with the problems of their society (and potential solutions to them) to make an informed choice regarding who should govern it and how. Its absence justifies their exclusion. Easily Manipulated: Children are highly impressionable. Their respect for authority figures (their parents, teachers or the media, for example) affect greatly how they act and what they think. This, it is argued, questions their ability to make autonomous choices when voting, even if they do have the capacity to do so. Allowing them to vote would not empower them as democratic citizens, but would actually give more power to other adults by using the child’s vote to their advantage. Harm to Democracy: Enfranchising children would harm the democratic process and its outcomes in various ways. First, it would trivialise political campaigns by forcing candidates to appeal to the child vote through banal promises, shifting the political debate to attract children’s interests and whims. 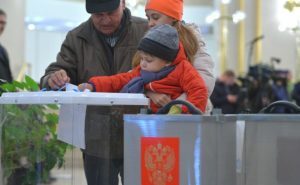 Second, the fact that children below 14-years-old are on average 25% of a country’s population would lead to them having too much weight on electoral results, threatening the protection of the interests of the rest of the population. There are many flaws and issues with the arguments above. However, one stands out as particularly problematic: the absence of an equal standard to judge children and adults’ rights. The four arguments presented above against child enfranchisement are not exclusive to children and would work against the right to vote for an ample part of the adult population as well. Many adults would most surely prove to not have the capacities required to vote (if the same conditions were to be imposed on them as on children), they can be as misinformed of (or turn a blind eye to) their candidates proposals and behaviour, they are as influenced and manipulated by the (social) media, by singers and movie stars in their political choices, and their uninformed interests can trivialise the democratic process with absurd proposals as well (think of Donald Trump’s Space Force or Build the Wall campaigns). Why don’t we assess an adult’s right to vote with the same strict standards that we impose on children? I’m sure that if we applied the same ruler to both groups, many of us, adults, would lose our entitlement, while many of our children would have to be enfranchised. If this is indeed the case, disenfranchisement of children as a group is unjust; it would be (and, I argue, is) a discriminatory practice based on age-based biases and stereotypes that does not respect children as equal members in our society. If the four arguments above are indeed valid for restricting an individual’s right to vote, then they should be, at least, applied and assessed equally to every citizen’s entitlement. The twentieth century showed that we could defeat many discriminatory biases in voting rights based on gender or race; the twenty-first century may be the one in which we overcome those of age. Why Should Children (and Everyone) Vote? I’ve said that if we consider the arguments of incapacity, inexperience, manipulation and harm as valid for disenfranchisement, then they should apply equally to the whole citizenry and not only to children. However, I want to close by refuting the validity of these four arguments, and by defending that none of them justify disenfranchising citizens (whatever their age or condition may be). First of all, political participation is a human right, not a licence. To respect individuals as right holders, implies recognising them as equal members in our society, regardless of their condition or (in)capacities. This recognition requires taking every individual’s epistemic standpoint as equal in the democratic process. It does not matter whether you are a professor of democratic theory, a potato farmer, or a primary-school student; we are all stakeholders in our government’s decisions, and we all have a right to have a say and a vote on what our government does. Second, ensuring everyone’s right to vote offers an invaluable expansion of the scope of views and issues present in the democratic process. Limiting children’s enfranchisement gives asymmetric power to older generations over the issues and views that are debated in political campaigns. For example, child enfranchisement would force politicians to appeal to younger people’s views on gun control, climate change or Brexit. Children have their own take on our current political climate, and the fact that they will be affected by their government’s decisions demands them having their say. Finally, being involved in the political process has an important pedagogical dimension. As the pedagogue and philosopher John Dewey argued, we learn our political and social skills through our experience and involvement in political and social processes. Cognitive development does not bestow us with immediate powers to reason, socialise and inform ourselves; these require motivation and interest in politics, and the recognition of our position in our social world. By enfranchising children, we foster their interest in the political process, in thinking about their position, views and interests, and in gaining experience as democratic citizens. We agree with the arguments above, and apply an equal standard for assessing each individual’s right to vote, regardless of age. This would imply that children and adults alike must prove their entitlement to vote based on their capacities to do so. We disagree with the arguments above and enfranchise the whole citizenry, regardless of age. This would imply that no one, regardless of their condition or (in)capacities should have her right to vote restricted. Whether she wishes to vote or not, is up to her. Of course, the questions and issues that stem from the debate are much more complex that this short post allows me to show. I hope, however, that this brief reflection sparks and presses our intuitions regarding children’s right to vote. Nicolás works on questions related to discrimination of and justice for vulnerable groups. He is particularly interested in issues related to the status of children in domestic and international legal regimes, and is currently working on a normative analysis of street children and child workers. He is a Post-Doctoral Research Fellow at the Institute of Philosophy at KU Leuven. Perhaps that is not enough – and I would favour municipal voting for children but as a general rule it does mark a difference. Yes, I would definitely not disagree with you in the differences between adolescent and adult cognitive development in the respects mentioned in the link you posted. Neuroscientists seem to be in agreement that, when it comes to making decisions in the moment , without time to reflect and rationalise, adolescents do show relevant shortcomings, and an inclination to act emotionally (what is called “hot cognition”). However, when given time to reflect and rationalise on the decisions they have make, no relevant differences have been found between and an adult and an adolescent’s reasoning and decision-making processes (what’s called “cold cognition”). I believe that the latter is the relevant case when it comes to evaluating voting capacities. Thanks for response. You may be right, although I am less sure than you about the hot/cold distinction in contexts of election campaigns in highly polarised contexts, hence my preference for having earlier ages voting in municipal elections prior and building up political habits and skills (e.g., spotting lying bastards). Having said that, my daughter has been furious from at leats the age of 10 that she is not allowed to vote!